Hedge funds are not perfect. They have their bad picks just like everyone else. Facebook, a stock hedge funds have loved, lost nearly 40% of its value at one point in 2018. Although hedge funds are not perfect, their consensus picks do deliver solid returns, however. Our data show the top 15 S&P 500 stocks among hedge funds at the end of December 2018 yielded an average return of 19.7% year-to-date, vs. a gain of 13.1% for the S&P 500 Index. Because hedge funds have a lot of resources and their consensus picks do well, we pay attention to what they think. In this article, we analyze what the elite funds think of WPP plc (NYSE:WPP). Is WPP plc (NYSE:WPP) a buy right now? Prominent investors are taking an optimistic view. The number of long hedge fund bets moved up by 3 recently. Our calculations also showed that WPP isn’t among the 30 most popular stocks among hedge funds. WPP was in 11 hedge funds’ portfolios at the end of December. 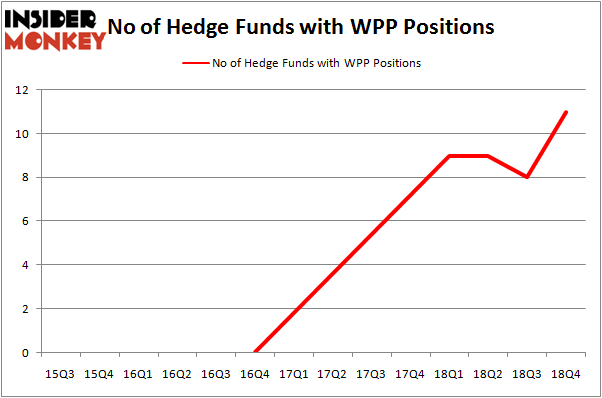 There were 8 hedge funds in our database with WPP holdings at the end of the previous quarter. Let’s take a glance at the new hedge fund action encompassing WPP plc (NYSE:WPP). What have hedge funds been doing with WPP plc (NYSE:WPP)? Heading into the first quarter of 2019, a total of 11 of the hedge funds tracked by Insider Monkey were long this stock, a change of 38% from the previous quarter. On the other hand, there were a total of 9 hedge funds with a bullish position in WPP a year ago. With hedge funds’ sentiment swirling, there exists an “upper tier” of notable hedge fund managers who were upping their holdings substantially (or already accumulated large positions). More specifically, Renaissance Technologies was the largest shareholder of Wausau Paper Corp. (NYSE:WPP), with a stake worth $25.6 million reported as of the end of September. Trailing Renaissance Technologies was D E Shaw, which amassed a stake valued at $8.9 million. Arrowstreet Capital, Millennium Management, and Two Sigma Advisors were also very fond of the stock, giving the stock large weights in their portfolios. Consequently, specific money managers were breaking ground themselves. D E Shaw, managed by D. E. Shaw, initiated the most valuable position in WPP plc (NYSE:WPP). D E Shaw had $8.9 million invested in the company at the end of the quarter. Peter Rathjens, Bruce Clarke and John Campbell’s Arrowstreet Capital also initiated a $6.3 million position during the quarter. 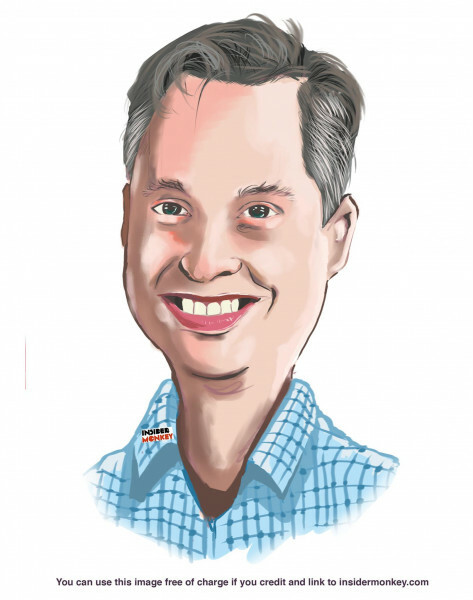 The following funds were also among the new WPP investors: Paul Marshall and Ian Wace’s Marshall Wace LLP, Minhua Zhang’s Weld Capital Management, and Gavin Saitowitz and Cisco J. del Valle’s Springbok Capital. Let’s also examine hedge fund activity in other stocks similar to WPP plc (NYSE:WPP). These stocks are Citrix Systems, Inc. (NASDAQ:CTXS), Ryanair Holdings plc (NASDAQ:RYAAY), KLA-Tencor Corporation (NASDAQ:KLAC), and L-3 Technologies, Inc. (NYSE:LLL). This group of stocks’ market values match WPP’s market value. As you can see these stocks had an average of 25 hedge funds with bullish positions and the average amount invested in these stocks was $969 million. That figure was $54 million in WPP’s case. Citrix Systems, Inc. (NASDAQ:CTXS) is the most popular stock in this table. On the other hand Ryanair Holdings plc (NASDAQ:RYAAY) is the least popular one with only 9 bullish hedge fund positions. WPP plc (NYSE:WPP) is not the least popular stock in this group but hedge fund interest is still below average. This is a slightly negative signal and we’d rather spend our time researching stocks that hedge funds are piling on. Our calculations showed that top 15 most popular stocks among hedge funds returned 19.7% through March 15th and outperformed the S&P 500 ETF (SPY) by 6.6 percentage points. Unfortunately WPP wasn’t in this group. Hedge funds that bet on WPP were disappointed as the stock returned 3.6% and underperformed the market. If you are interested in investing in large cap stocks, you should check out the top 15 hedge fund stocks as 13 of these outperformed the market.